Sometimes my arm gets tired holding up the Elk antenna, so I started looking for a way to mount it. 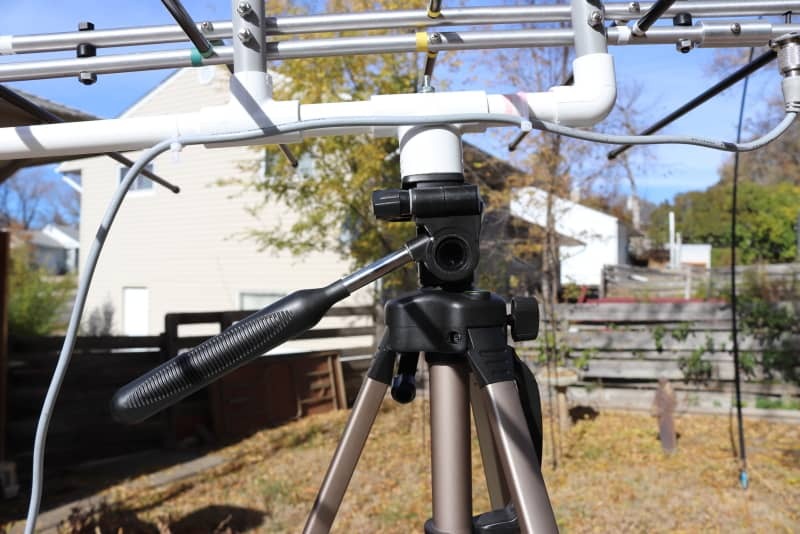 With the help of another Amateur Radio operator (K3RRR) on YouTube I put together a modified tripod mount for the Elk antenna. I used an old camera tripod like this one, AmazonBasics 60-Inch Lightweight Tripod with Bag and a 3 inch screw with nut and locking washers. It works great and I have a free hand while operating! I can adjust the azimuth and elevation with one hand while holding my Baofeng in the other hand. Find a cheap camera tripod. I had an old one like this one: AmazonBasics 60-Inch Lightweight Tripod with Bag. Even if I paid the new price of $23 I’d still do it. If you still want to be able to use your camera tripod for your camera, pick up an extra quick release plate. This will be the part that attaches to the Elk antenna PVC pipe and the 3 inch screw. Having the tripod hold my Elk antenna while I get prepared for a satellite pass is definitely worth it in my opinion. 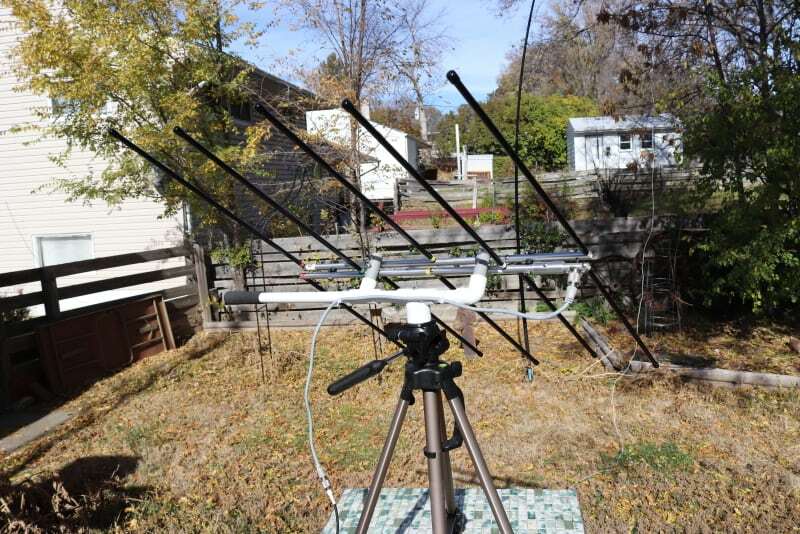 I can also adjust the azimuth and elevation easily and my arm doesn’t get tired of holding up the Elk antenna. It’s also easy to rotate the Elk for vertical or horizontal polarization. The additional parts I needed was a 3 inch long screw, nut and a couple of lock washers. 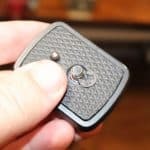 Remove C clip from quick release. 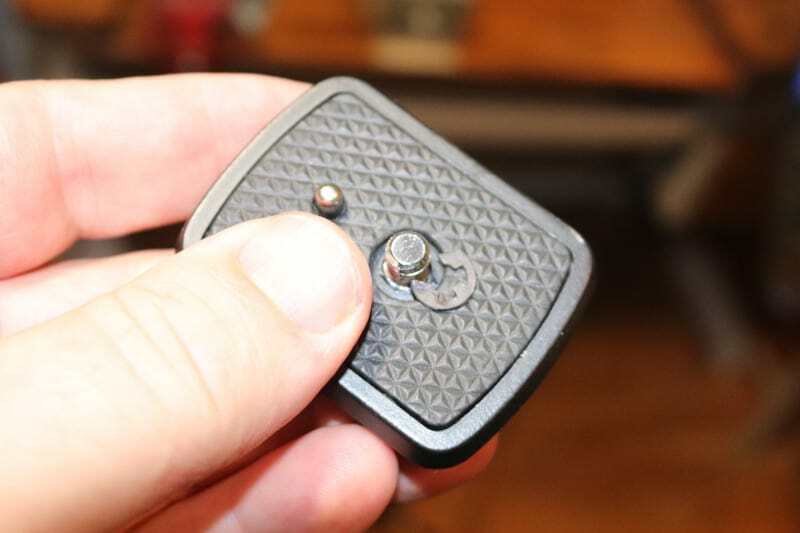 With a small screwdriver remove the C clip on the quick release plate so you can remove the existing camera screw. 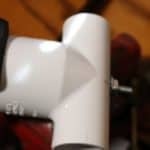 Drill a hole in top of the PVC tee. 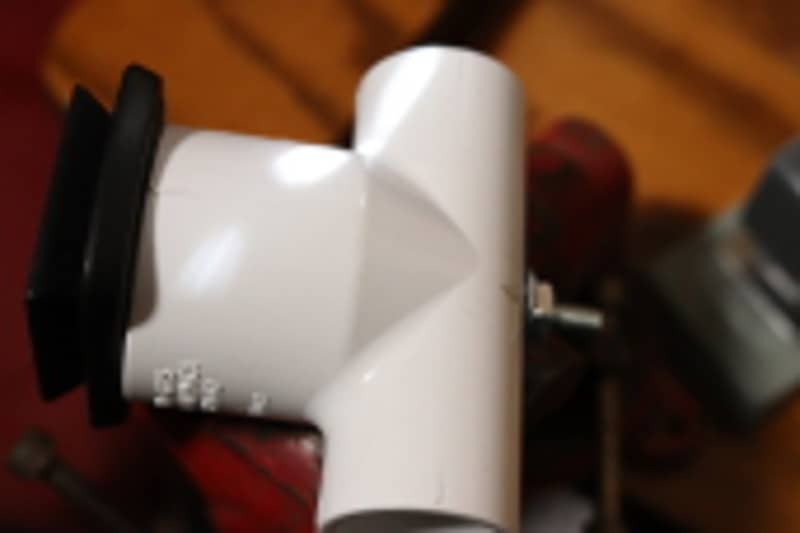 Using the 3 inch screw, nut and washers, attach the quick release to the PVC tee (2nd picture above). That’s it! In addition to having this mount, it’s easy to release the Elk antenna from the tripod and use it as a hand held antenna again. Now that’s convenient! Not only that, if I’m in a hurry I don’t have to haul around the tripod if I don’t want to. 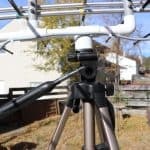 Note: When attaching the coax cable to the antenna, dress the cable to extend straight away from the connector for at least eight inches. Also a video using Fldigi and the Icom 7610. Fldigi is easy to use software for PSK31! Hadn’t thought about recording the session. Another EXCELLENT suggestion! Simple but brilliant! I will be retiring at the end of the year and plan to get involved in satellite communication. This came at the perfect time. 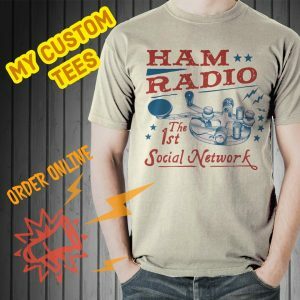 I wondered how I would be able to hold this antenna for very long. Thanx for all your excellent tips and advice! It is helpful and gives me a free hand to write callsigns and grids down. Another thing I found helpful is to record the session just in case. Using the audio recorder on the phone works. That way I can go back and listen to grid squares again.